As the weather heats up and summer reaches its peak, what better time to challenge yourself, get in shape and raise money for High Tide! We gain greatly from our education and business members, but we also wouldn’t be where we are today had it not been for the generous fundraising of our partners and friends. From our annual birthday ball and afternoon tea parties to our all new golf tournament and rowing races, fundraising is a vital factor in enabling us to deliver our unique industry-led programmes that support young people across the Tees Valley. Over the next few months we have a number of sport and exercise related fundraising opportunities coming up, with activities really hotting up at the start of September. 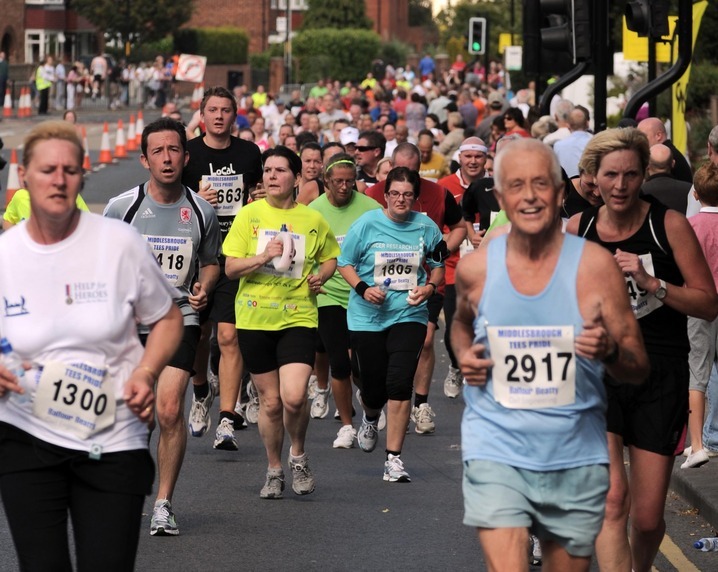 First up is the Tees Pride 10k Run on Sunday 2nd September. Now in its 14th year, the event is Teesside’s most established road race and is widely regarded as one of the top races in the North of England. The 10k (6.2 miles) course provides the perfect opportunity for those seeking a new personal best and also for those looking to complete their first ever running event. Coinciding with the Tees Pride 10k is the popular 3k Fun Run, which along with attractions, live entertainment and a carnival atmosphere make it the perfect day for the whole family and local community. We will be taking some charity places at this race so if you’re interested in taking part and raising money for High Tide please get in touch. If that sounds like just a warm up, the annual Simplyhealth Great North Run takes place a week later on Sunday 9th September. 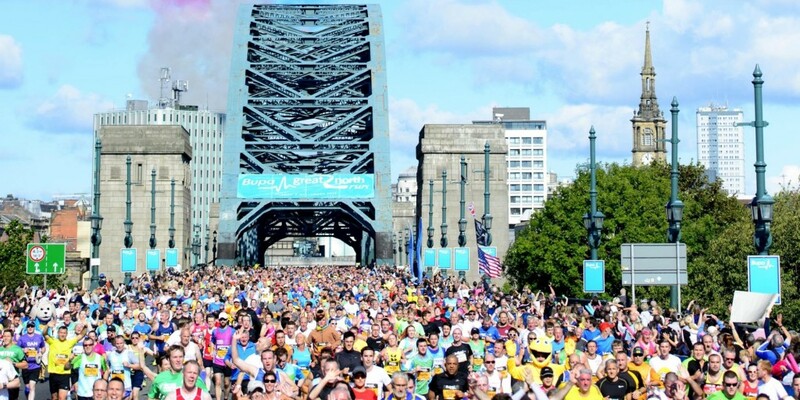 The world’s biggest half marathon covers 13.1 miles along the streets of Newcastle and Tyneside, with the famous route providing a challenge for more serious runners or those with the commitment and time to put in the extra preparation miles. For the Great North Run we have over 15 runners already confirmed, with a very small number of places left. Each runner will receive a discounted registration fee, a running t-shirt for the big day, an official High Tide hoodie and continued support throughout training. All we ask is you aim to raise £300 or more for High Tide and pay your discounted £50 charity registration fee as soon as possible to secure your place. 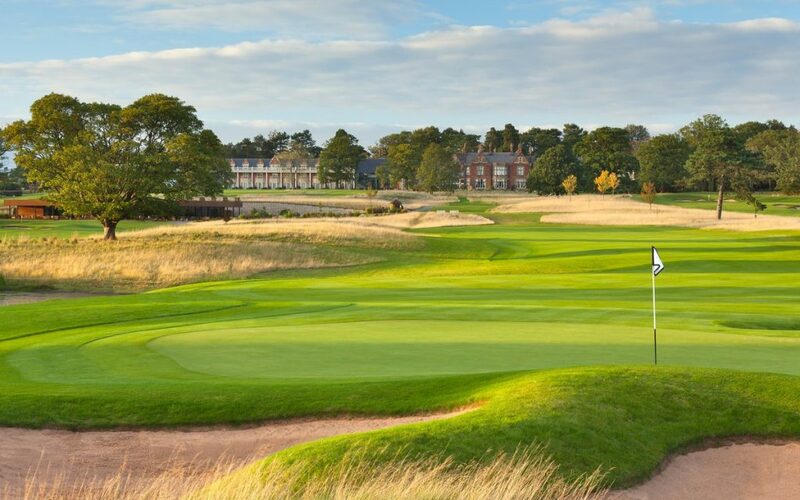 Also in September, we are hosting our first ever golf tournament at the five star Rockliffe Hall Golf Club. As Rockliffe Hall’s dedicated Charity of the Year, we are fortunate enough to have the support of their world-class facilities and team, including their championship golf course and spa. Our four-ball tournament takes place on September 5th and is open to golfers of all abilities and levels. The day offers a great way to spend time doing something you enjoy whilst raising important funds for our activities and programmes. It’s not just all about birdies and pars though – they’ll also be plenty of opportunities for networking and socialising, with breakfast and refreshments to start the day followed by a two course meal after your 18-hole round. If none of the above take your fancy or you’re up for a slightly different challenge, why not download our sponsorship form and take part in an activity of your choice? It might be a long distance bike ride, a demanding obstacle course, or something a little less physical such as a cake stall, raffle or blind car; as long as it’s something that can help raise money for High Tide, we’re all ears! Schools and business can even get in on the act too, with ideas such as non-uniform days and swear boxes being easy to organise yet delivering effective results! Download one of our fundraising packs for more inspiration and ideas. If you want to help improve learning and employment opportunities for young people in our region, while challenging yourself or having some fun, raise money for High Tide today! Head over to our donate section for more and also keep an eye on our news and events sections for the latest fundraising initiatives.